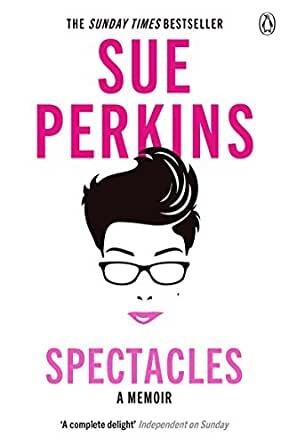 Discover the woman behind the spectacles in the hilarious, incredibly moving memoir from much loved comedian, writer and presenter Sue Perkins. Sadly, a recycling 'incident' destroyed the bulk of this archive. This has meant two things: firstly, Dear Reader, you will never get to see countless drawings of wizards, read a poem about corn on the cob, or marvel at the kilos of brown flowers I so lovingly pressed as a child. Secondly, it's left me with no choice but to actually writethis thing myself. Order Sue Perkins new book, East of Croydon now. Switch back and forth between reading the Kindle book and listening to the Audible narration. Add narration for a reduced price of $13.49 after you buy the Kindle book. 5.0 out of 5 starsI have never read a book that made me laugh this much! This is quite simply the funniest book I have ever read. Entertaining, honest and moving from beginning to end. I especially loved Sue's relaying of a bout of extreme road rage - we've all been there. Many laughs and the occasional tear as well. Funny, sad, extremely well written, I really enjoyed it. Couldn't put it down. From start to finish in 48 hours. I did stop to sleep and eat, otherwise it probably would have been finished sooner. Fantastic! Funny, witty and insightful. Everything that I expected from Sue Perkins and more. I started reading this because of a recommendation from a fellow THE Book Club member, Dave Hardy, and boy, am I glad that I did! I have to admit that I don't read a lot of biographies, some of the ones I have read in the past, have been less than interesting - I certainly couldn't say that about this one though. I have always liked and admired Sue Perkins, she is someone I think it would be lovely to have lunch with. The combination of a quick wit, oodles of intelligence and a wicked sense of humour is irresistible to me and her book didn't let me down one little bit. I don't know if it is because her and I were born only a couple of years apart and her birthday is the day before mine but there were so many "aha" moments about her childhood. My dad also kept precise records of heights and weights of everyone in our house (amongst other things) and also had a thing about Dettol being the answer to everything. My mother, like Sue's mother, kept a blow-by-blow description of my birth and also liked a chat. The whole book is a delightful peek into Sue's life, without the bad bits, which she warned us about at the beginning. I read the whole thing in 3 days, which surprised me because I didn't expect it to be so unputdownable. This is a highly recommended read from me. And Sue, if you are around when I come to the UK next, let's do lunch, yeah?